Abstract: In order to create better riding experience, Airwheel is dedicated to developing the most appropriate means to facilitate daily mobility with latest technology, which will be carried out by Airwheel new lineup, say the H3S folding electric wheelchair. Airwheel team employs exacting design protocols to ensure each product meets the needs of our consumers, new emerging markets, and an ever-expanding world of mobility product experiences. The brand, our team, and the products we create thrive at the intersection of technology and lifestyle while innovation through collaboration lives at the core of our design process. Airwheel H3S lightweight folding electric wheelchair shows a better experience through better design. Airwheel H3S robot wheelchair will be your safest choice for a superior electric wheelchair. 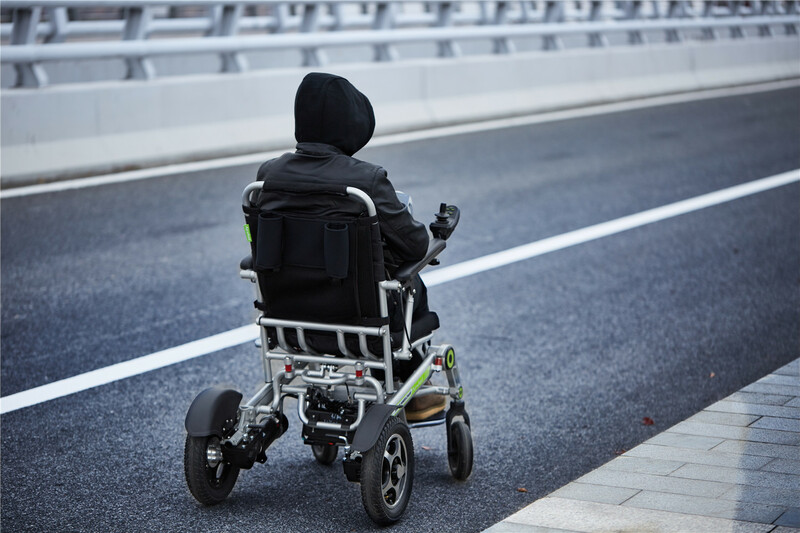 Airwheel has built a host of important safety features into this very high quality wheelchair, including joystick controller, more stable wheels, super stable foot rest, and very durable construction. It's not only easy to use, extremely reliable, but keeps you safe even in the most demanding situations; It also has a seat belt which keeps the passenger securely in place. H3S automatic visual tracking wheelchair is easy to operate by superior design joystick and the automatic folding design makes it extremely easy to load this wheelchair into your vehicle for transportation or storage. And it is compact when folded, making it easy to lift into a car or carry up the stairs. Airwheel also added an adjustable footrest that will work well for years of daily use. Everything has premium welds for excellent durability and reliability. There are two ride modes - manual mode and electric mode. In the manual mode, Airwheel H3S transport chair makes it easier for your loved ones and caregivers to help you get around in comfort and ease. Different from the traditional wheelchairs which requires a caregiver to push the chair, H3S robot can be ridden by rider in the electric mode. Plus, H3S can follow rider automatically and be controlled by the mobile app because of the visual tracking and sensor technology. This is can be the third ride mode of H3S. To conclude, thanks to these thoughtful designs, the Airwheel H3S power chair is able to provide better experience for riders. 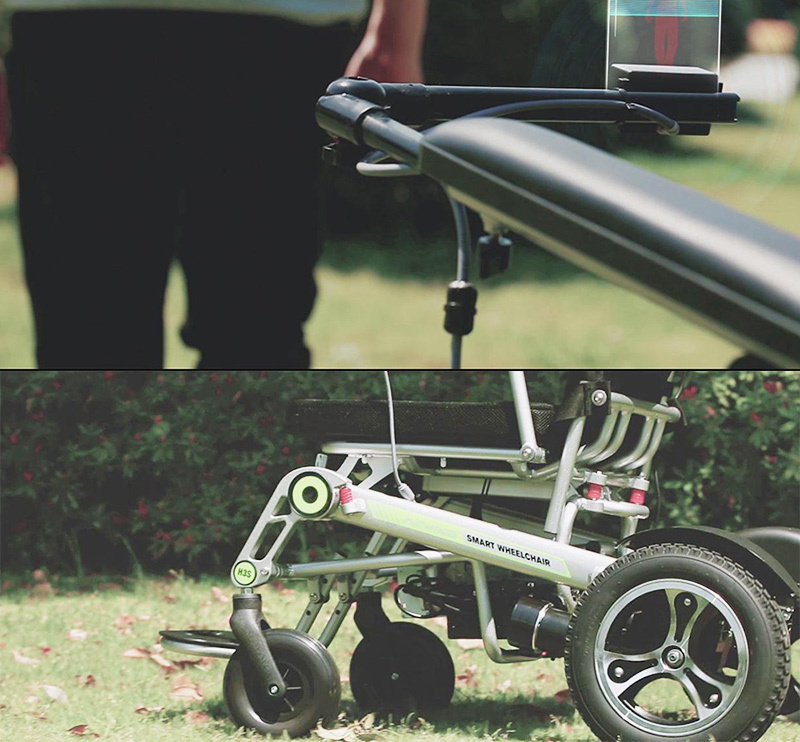 Previous：KICKSTARTER - Airwheel: World's Smart Robot Rideable Luggage!